Getting into college doesn’t happen overnight. Neither do the scholarships that will make it possible to attend after you’re accepted. With admission rates as low as 9% for schools such as University of Chicago, it’s not a bad idea to get some help with college planning… and maybe a little extra college advice. Lucky for me I was a TA for a career center during my 12th grade year in high school. I picked our career counselor’s brain and learned the best tricks and tips to get accepted to elite universities and earn thousands in scholarships. She helped me earn over $85,000. Now not all of you may be as lucky as I to have had such a fantastic mentor to teach me such valuable lessons. So the question is: Where can you get FANTASTIC and FREE help for college planning, and advice for College Freshmen like I did? Based on a little college resources formula of mine and some dutiful research, I compiled this list of 10 college resources that will make your life easier. 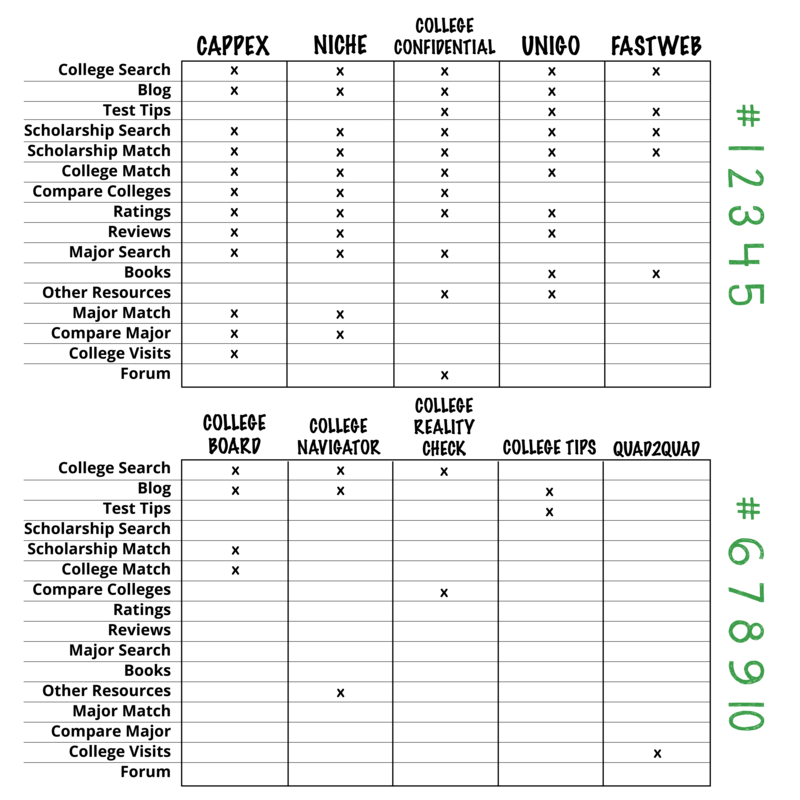 And just to keep things interesting, the top resources are at the bottom! 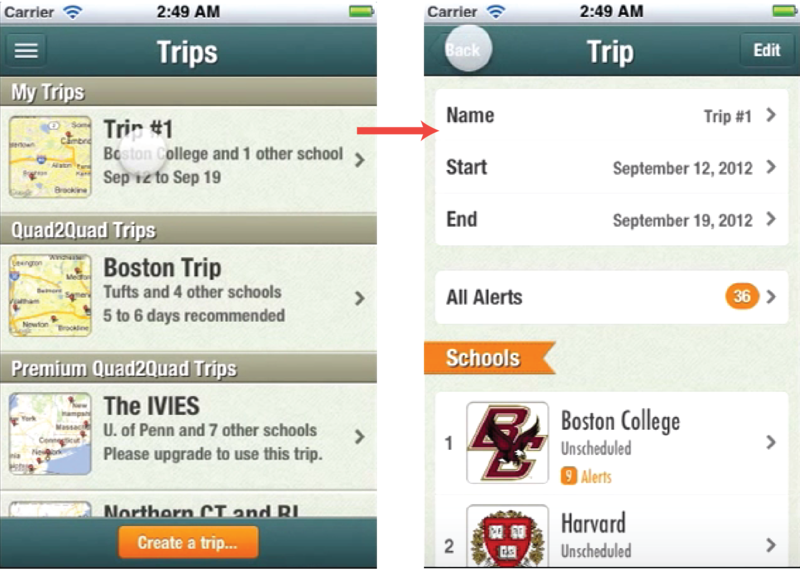 A portable app and #10 out of the top 10 college resources for high school students, Quad2Quad makes scheduling college tours and navigating big, bustling college campuses quick and easy. #9 of the top 10 college resources for high school students, College Tips has things you wouldn’t find on every college planning site. It offers “insider” info on just about everything-college that you could wonder about. While these tips don’t go into great depth, they are fairly straightforward and the point is that if you are feeling completely clueless about something, at least College Tips can help steer you in the right direction! 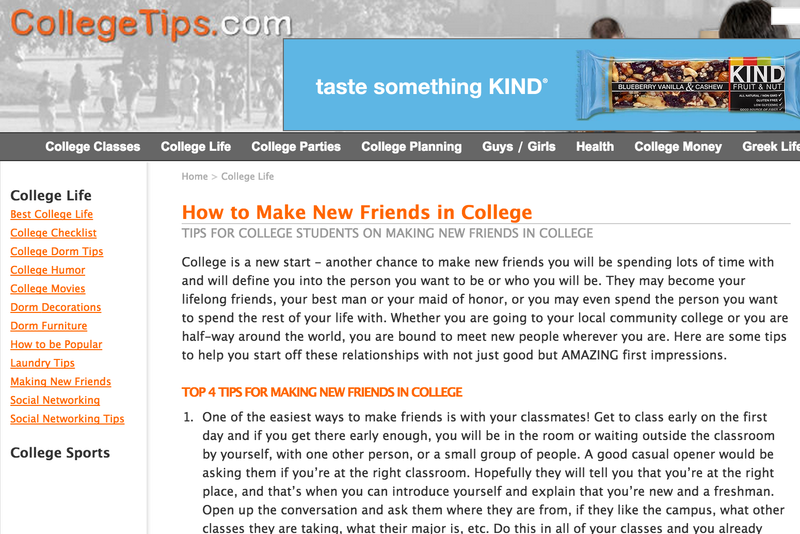 This site also includes the College Tips Blog, which is written BY college students. This site deals mainly with the cost of attendance for college, so if money is a topic of interest for you (it usually is!) College Reality Check is one way to get a quick and painless cost comparison. Functional simplicity ranks CRC as #8 of the top 10 college resources for high school students. 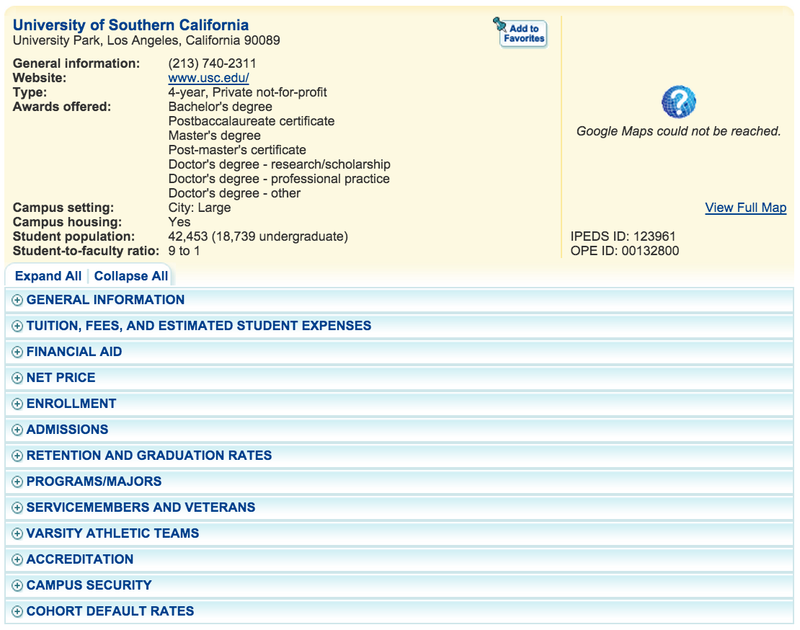 I’ll be honest, College Navigator isn’t the prettiest site to look at initially. But when you use their College Search you’ll find that this site is jam-packed with solid college admissions statistics. Turns out College Navigator is run by the National Center for Education Statistics (NCES), which is the #1 federal entity responsible for collecting and analyzing educational data — so you can bet they know their stuff. General information: Links to important admissions, amount of faculty, etc. 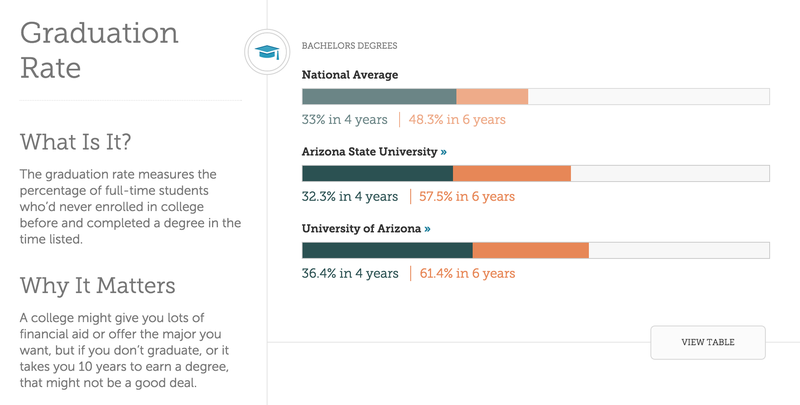 The data here is very straightforward and trust-worthy — not to mention helpful in determining which college will be right for you! Having a trustworthy and vast database at your disposal ranks College Navigator as #7 of the top 10 college resources for high school students. They also offer help with test prep including information on the SAT, PSAT, and NMSQT. The site’s “YouCanGo!” extension allows you to pledge your goals for college, view video interviews from real students about their experience, and find colleges within your proximity. College Board also offers you guidance in “your next steps” toward college, helping students to develop goals toward getting into college starting in middle school. Fastweb is a great college site for finding and applying to scholarships. Create a free, online profile that outlines details about yourself that play a role in scholarship selection, and Fastweb shows you which scholarships you should apply for. From here you can view scholarship deadlines and click directly on the names of scholarships to learn more about them and apply. Not only is Fastweb great for scholarships, but it supplies additional college resources for high school students, which ranks it as #5 of 10. Unigo ranks at #4 of the top 10 college resources for high school students with useful college planning info, stats, and more. 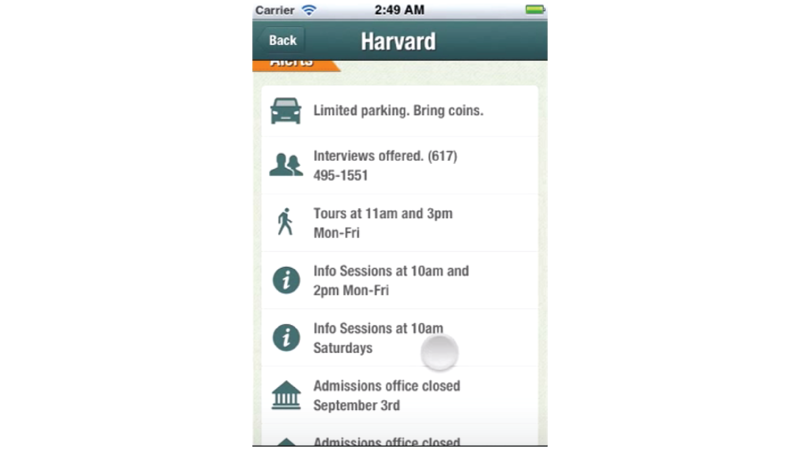 This includes student ratings and reviews on a number of aspects you may be interested in. By taking a quiz on the site and answering specific questions about yourself, Unigo helps you find your best possible options for colleges and scholarships. There is also the Unigo $10K Scholarship available. 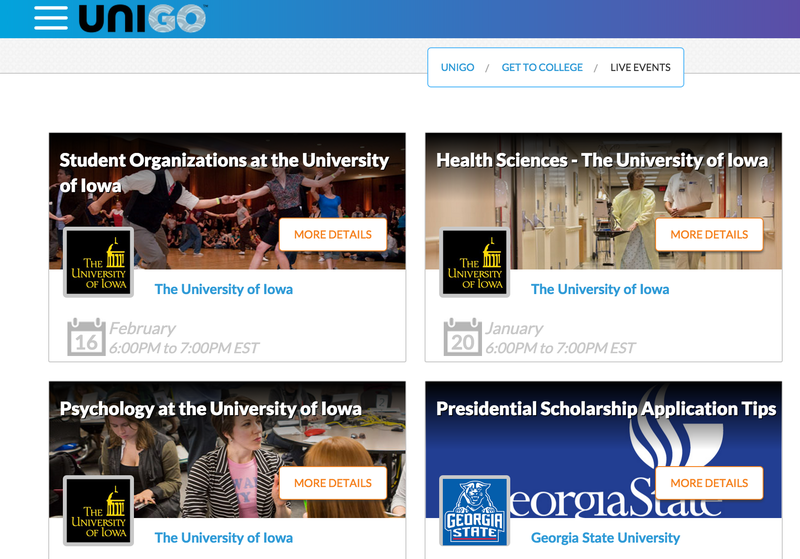 Unigo also offers something that no other college resource listed here does: live-streamed college events. The majority of college sites I list in this article (and the ones I don’t list) have a standard “College Search” feature. College Confidential is no exception to this. 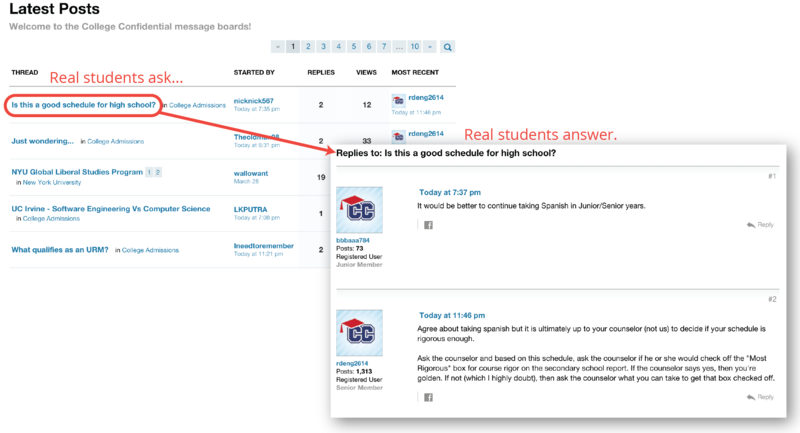 College Confidential’s best feature (and the main reason for it’s 3rd ranking out of the top 10 college resources for high school students) is its student forum. This resource is packed with questions and answers by real students looking to get clarification on any number of college-related topics. You can find plenty of advice for College freshmen. I may be ripping Abe Lincoln off here, but one could say Niche is a college planning resource that is “of the students, by the students, for the students”. 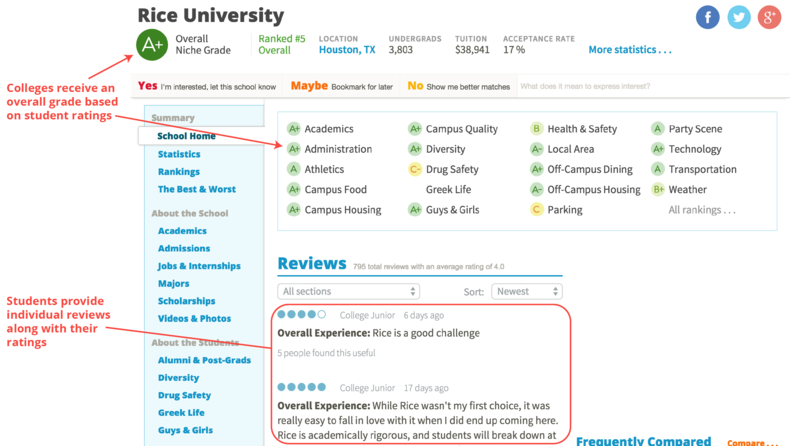 One of Niche’s most characteristic features is that it allows students to rate schools on different aspects and provide individual reviews. This is only one of Niche’s many offerings. Niche ranks 2nd in the top 10 college resources for college students because it has just about everything else you may need. What makes Cappex a great college site and college planning resource is its at-a-glance convenience. 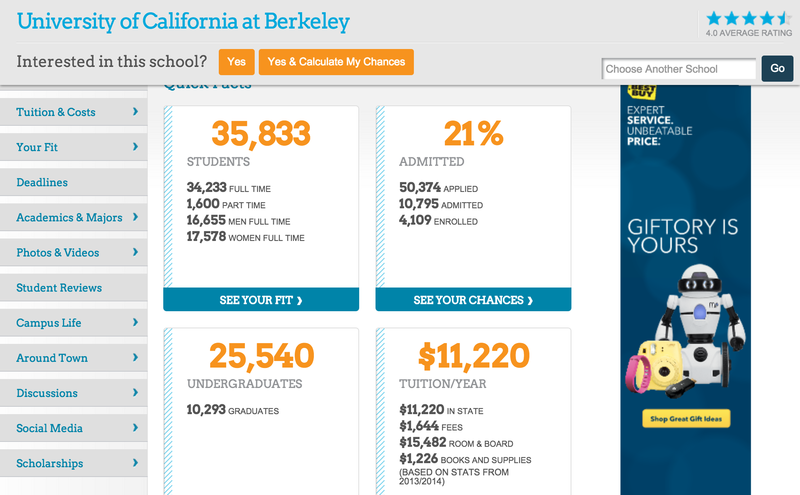 Cappex is great at displaying beefy college statistics in a way that is easy to read. Cappex also takes the time to spell out your expenses for you, which means you’re not sitting there staring at the tuition tag and wondering how much you’ll ACTUALLY spend after books and fees and living expenses. In addition to a College Search, it also offers a Scholarship Search which includes $30,000 in Cappex-issued scholarships and College Reviews. Virtually painless to use and packed with a plethora of helpful information, Cappex ranks as #1 of the top 10 college resources for high school students. These college resources are of course 10 of several that are out there, and free for your use. However, they’re Student-Tutor’s Top #10 College Resources for High School Students because they’re some of the best we’ve seen. So let’s test your recall memory… can you remember all 10? Do you think I missed some college resources in this list or know of any that should be added? What college resources do YOU use, and what is your opinion on them or the ones above? Tell us about it in the comments below! great your college information ………………..